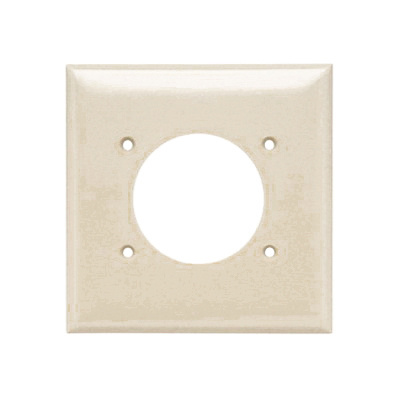 Pass & Seymour 2-Gang 0.070-Inch Standard size power outlet wallplate in ivory color, features thermoset plastic construction and smooth finish. It has two power outlet receptacle configuration. It is suitable for residential, commercial, institutional and industrial purpose. Wallplate is UL listed, CSA certified and RoHS compliant.